This article was originally published on February 24, 2017. Electronic to-do lists rock. Paper to-do lists as your main productivity platform are old-school and inefficient for recording thoughts and tasks leaving you to tackle what’s in front of you. While some people are looking for many bells and whistles with their productivity/to-do platform (if that sounds like you, check out this post here where I reviewed several other options), many people want something simpler. These people are simply looking for a to-do tool that captures their tasks, allows them to assign a due date, backs-up between devices, and then lets them get on their merry way to tackle what’s in front of them. While many of the applications I have previously reviewed could be useful for these kinds of people, others who like Wunderlist, Asana, or Trello might not like these applications as they are more slimmed-down (maybe excluding Remember the Milk below). Just like my earlier posts (and all of my productivity application reviews), when I tried these platforms I tested them on PC, any web apps, desktop applications (if applicable), and on iOS. If you have Android, each of these options is also supported but I have not used them on Android. Look at how simple it is! Just look! It’s almost as minimalist as a sheet of lined paper. Google makes it easy to add tasks or to-dos quickly and directly from Gmail inbox, Google Calendar, or a dedicated Google Tasks apps. People often use Google Task with Google’s other products, especially Keep and Inbox Reminders. One thing I don’t like is that you need to have an internet connection to get access to your tasks. Moreover, you have to manually remove completed tasks by selecting “clear tasks” under “Actions,” but that’s a small issue (and likely an unpopular opinion, but oh well, there you go). 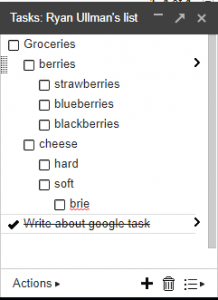 Alternatively, you can use Google Keep, which is separate and distinct from Google Tasks, but part of your Google account either way. I tried the Google Keep app on my phone and web browser and concluded that it is similar to Evernote or Pocket for its ability to clip websites for later, but you can also use it for simple to-do lists and notes if you’d prefer to go that route. The problem with Google Keep, unlike Tasks, is that you cannot view your tasks on Keep in the same browser page next to your email like you can with Google Task. Price: Free. Various paid applications on Android and App Store to reach tasks offline. Remember the Milk (RTM) is one of the oldest and most-trusted productivity platforms out there. It has a loyal following and comes packed with a lot of useful features. What I like in particular is that you can add a lot of detail to your tasks in a simplified way without too much clutter, can assign tasks, and RTM will actually estimate the amount of time your tasks will take to complete as well, which you can compare alongside you time tracker. This application is the most powerful out of Google Tasks, RTM, and Swipes for the number of details you can add to each task without an over-crowded user interface. No subtasks without a paid subscription (but the other features are so cool it almost made me want to get a Pro Subscription). You can still add notes, so you can’t “check off” subtasks, but you could always add notes to lists. Great paid features like unlimited list sharing, sorting, reminders, badges & widgets, apple watch connectivity, Outlook sync, and unlimited storage. (This is also a Con because some of the best features only come witha subscription). Pro version is a little on the high side compared to Any.do and other options. Only shows relevant tasks that you have scheduled around a certain time in the “current” list view, and put other tasks on the “scheduled” tab. This allows you to keep your list relevant to what you are actually working on at that time. Can set recurring tasks to repeat every day, Monday-Friday only, or every week, month, or year on a particular day. Useful for integrating an everyday list. Sightly confusing interface if you’re used to Wunderlist, Todoist or something similar (this application uses tags to organize things and not lists in Wunderlist and Todoist). This means all of your tasks are together on the same pages and sorted by tag rather than the list itself. I have previously reviewed these three apps here. Each of them are top platforms options, and these may also work even if you prefer a platform that is a little more toned-down. My favorite out of the bunch for its sheer number of free features and slick interface. Swiping tasks with Any.do is as close to crossing out an item on a paper list with your phone as I’ve experienced, and it’s pretty intuitive to use. It also has the Any.do assistant, and integrates your phones native calendar giving you a calendar view of all your Any.do tasks + calendar events in one place. 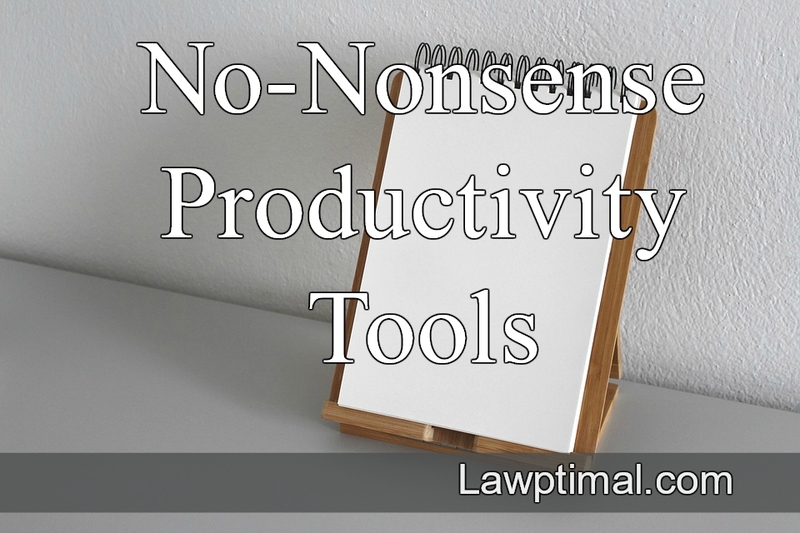 A productivity favorite and has many long-time, devoted users. The killer for me is that it doesn’t allow for subtasks, but it otherwise has a simple, clean interface and backs up between all devices (like each of these applications). Reminders, notes, recurring tasks, and uploads are sadly premium features. What Todoist and Any.do have in common that they’ll both send you a daily reminder to plan your day and show you what’s on the agenda. Also, Todoist has a point system which is pretty useful if you need some extra steam to cross off tasks and feel like you’re winning. Very similar to Wunderlist and Todoist, but very slimmed-down. There’s no option for subtasks, and unfortunately, no web application (i.e., you have to download the application). One feature that is an improvement over Wunderlist in my opinion is that Microsoft To Do has a “My Day” list, as distinguished from a “Today” list, giving you the option to add many tasks if you’re optimistic about getting a lot done, without putting a definite due date of today on them. Liked this post? Please subscribe below to get updated each time Lawptimal publishes a new article!